Here lies a man who did his country good. He died poor. MHDSRIP. 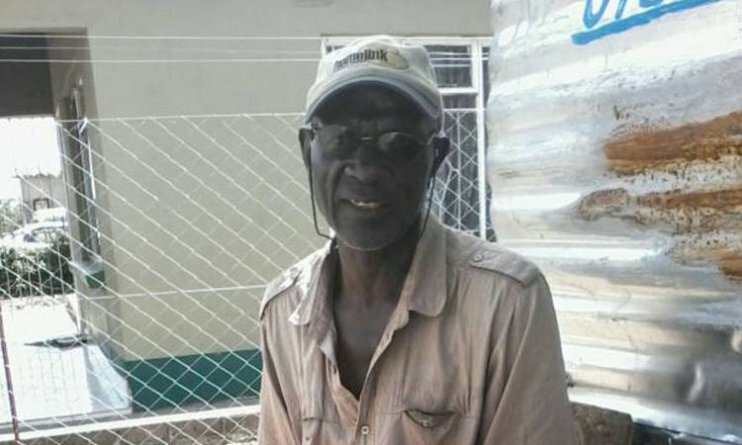 The legend, who succumbed to pneumonia at age 68, will be laid to rest at Mkoba cemetery in Gweru today, obviously amid torrents of eulogies that traditionally characterize the final sendoff of personalities once great. But it is only the entries in the Guinness Book of Records and a fight record (W-L-D) on the official boxing site, Boxrec.com, that is as long as the arm, which will remain to tell visitors to those references that there once was a man who was a hero of his country – forget the stark fact that there was nothing to show for it. Let me hasten to highlight that this obituary is not about pointing fingers per se. Rather, it is intended to celebrate an icon who defied the odds and navigated unchartered waters in his rise to international stardom. His is a story that will inspire the current crop of emerging young fighters who aspire to make a livelihood out of this redefined “sport of sweet science.” In the same vein, Tinago’s narrative will certainly whip any would-be celebrity into line, as it is scripted in the familiar rags-to-riches-and back-to-rags tale. Why is it that they always have to die in the poor house? Tanzanian Swedi Mahomed for the vacant World Boxing Federation bantamweight title. Perhaps by premonition, Schoolboy could smell the scent of the stage that made him great because during our discussion on the sidelines of the weigh in – conducted at Joina City – he spoke of his long-cherished wish to have another waltz on the same dance-floor (the Commonwealth), albeit in a different capacity. “I am told there is re-engagement so that Zimbabwe may be co-opted into the Club (C/wealth),” he said then, his face glowing. But as the cruel hand of fate has always had its way, Zimbabwe hosted its first ever Commonwealth Boxing Council title fight on July 13 when Langton must have been lying in his bed in great pain. He passed on a week later. 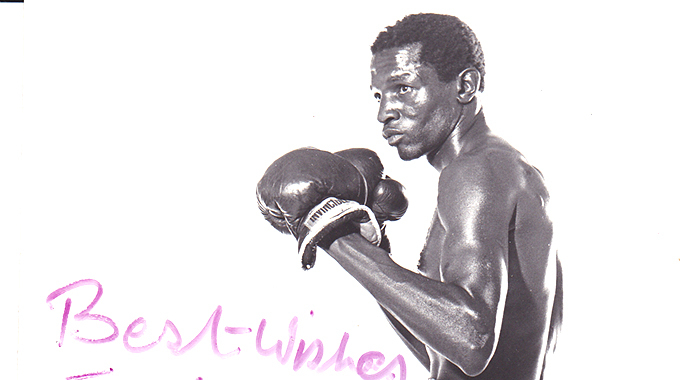 Sometime in 1969 (barely two years after breaking into the professional boxing ranks), a then unknown Schoolboy was given a fight against Joao Mapepa, a Mozambican middleweight champion at the time. Former promoter Paul Murinye seeing some business potential bankrolled the contest which, on paper, appeared a great mismatch! Not only did Tinago not hold the national championship of his country, but he was also far outweighed in the distant light-welterweight. The challenge was even more intimidating in that the Mozambican champion, Mapepa, had previously taken our own champion in the same division, John Fighter, (middleweight) to the cleaners. But little Tinago – in typical David-meets-Goliath fashion, wanted to have his own dance with the Mozambican giant. A natural bragger, Mapepa had been going around daring any boxer worth his salt to face him in the ring – any boxer and weight – and nobody dared him. So overconfident and reckless with speech did he so become that he labelled those of his trade “girls”. This did not go down well with our Langton who felt the neighbour had crossed the line, thus he challenged him to the 10-round contest at the Glamis Stadium, all in a spirited bid to preserve his country’s honour. There is a humorous side to the story where Schoolboy, in an attempt to come closer to the required weight, stuffed coins (then called half crowns) into his pockets. They did not give him the exact desired result but he was eventually matched as a catch weight. The long and short of it is that Mapepa’s murderous crosses and round-houses failed to find an elusive Schoolboy who ultimately emerged victorious from the bruising brawl, but not before picking a serious cut that was to leave an indelible, permanent mark on the left brow. Today, he takes that scar to the grave as exhibit when he finds a seat among other departed famous pugilists. It was the sweet triumph against Mapepa that announced Tinago’s arrival to greatness and he never looked back. 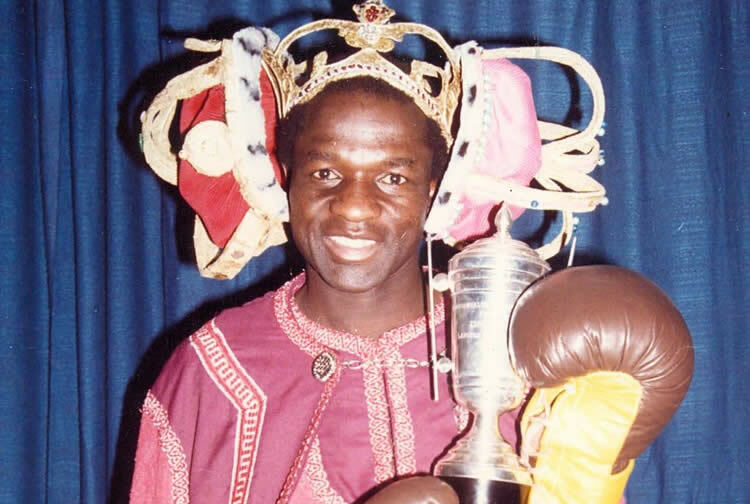 Today Langton “Schoolboy” Tinago is decorated as the greatest boxer ever to emerge in Zimbabwe since regulated professional boxing was ushered in, way back in June of 1956. Though he was to take up the sport as a career in 1967, the unfortunate part for him was that the country was under Unilateral Declaration of Independence (UDI) and closed to the rest of the world in terms of human activities, this at a time when it mattered most to Tinago’s career. When national independence came in 1980, and with it, the opening of the world to the country, he was past his prime in terms of age (being in his thirties) and considered old in the sport of boxing. But, as if to defy the odds, this is when his career took its steepest rise. Langton Schoolboy Tinago’s name today remains etched in annals of the Commonwealth Boxing Council archives as the only boxer who held dual championship of commonwealth titles (at light welterweight and welterweight) and since 1988 when he spiked his gloves, no other boxer has managed to surpass the feat. His road to international stardom began with the snatching of the coveted light welterweight title in a contest against then holder Hogan Jimoh of Ghana right in the latter’s own Lagos backyard. The year was 1980. Langton, winning in Round 7, was to again beat the same boxer in a re-match in the fifth round. The Zimbabwean boxing prodigy was to briefly fall by the wayside when he was defeated by Aussie Barry Michael, suspectedly on a home-decision verdict, but he was quick to pick himself up. He challenged Graeme Brooke for an assignment in Manchester and won in Round 5, re-claiming the crown, but going on to lose it to Mo Hussein months later. But our Schoolboy was not yet done! When word got to him and his technical team that the Commonwealth super featherweight title had fallen vacant, he opted to shed his weight from 63.5kg to 59kg so that he could have a shot at it. This time the venue was Rufaro Stadium and the opponent, yet another Nigerian casualty, Safui Oke, whom he beat on points to make international history and a slot in the Guinness World Book or Records. On the domestic scene, Tinago achieved more than any athlete in recorded history. He won the Zimbabwe Sportsperson of the Year Award three (3) times and was runner-up in the fourth attempt. For the record, only swimmer Kirsty Coventry has come anyway near this feat, winning the award on two occasions. His record of 86 wins; 20 losses and three draws comes from a four decade career in the ring that began with a debut against Jack Schoolboy in Bulalawayo on July 5 1967 and ended on a high note on August 1st when he won the Zimbabwe National Lightweight title against Emmanuel Nyika. Thereafter, he called it quits, but glean at his casualties list will reveal names that range from local opponents of the likes of Beira Anthony, Gorilla Ceasar, Duly Bomber, Tadios Fisher, Tony Katemba and Tall Brown… right up to foreigners in the mould of Peet Bothma, David Malo, Ophias Springkiller, Steve Sting and Hans Sankisa, among countless others. Those who knew Tinago in his life will acknowledge he was a down-to-earth gentleman. A boxing project in Gweru, Action Boxing Club, was his brainchild and out of it, many boxers who are now resident in South Africa have emerged and are doing quite well. As they heap shovelfuls of gravel onto your casket and send you away to party with many other legends who enrich the earth with their skills and knowledge, I join the boxing community, country and, indeed the world, in paying my last respects to a hero. Rest in Peace Gazi.